The largest town in Songkhla Province and Thailand's fourth largest is Hat Yai. The city is renowned as a travel hub, a medical centre, and Thais' shopping haven. Apart from that, the appealing view of the town makes it uniquely different from Koh Samui or Phuket which are both top-rated tourist destinations. Movement around the town is relatively easy and affordable via motorcycle, taxi and even cabs which are cheaper when compared to other tourist-orientated terminuses in Thailand. Be mindful unlike Bangkok, the English language is not predominantly spoken in Hat Yai. With all the information, you are good to go! Several markets you can find in Hat Yai include the Phaeng Thong Yongdee, Suntisuk markets. All these markets and other ones spread across Asia are all just a view of blocks up from the Train Station. In my own opinion, Kim Yong Market is the best of all of them. The Kim Yong Market is situated on the bend of Supasamrangsan Road and Phetkasem Road (same road where the Clock Tower is positioned). This gigantic market has an extensive collection of outside vendors that will easily keep you busy savouring and be negotiating, piping hot chestnuts, graphic displays of fresh fruit, magic potions and lotions. The Hat Yai Cable Car happen to be one of the latest addition to Hat Yai's attraction spots. Situated inside Hat Yai Municipal Park, the Hat Yai Cable Car provides outstanding views over the city. The only two available stations for now (two more are planned to be built in a second phase) are located in Thao Maha Phrom and Phra Buddha Mongkol Maharaj, and they both allow you to see a large four-faced Brahma effigy at the former, and a 20m-tall Buddha statue at the latter. The Floating Market will be a traveller 'trap' likened to the real deal pictures of the likes of National Geographic. But after being wowed by the colours and the food on offer, I was pleased with the Khlong Hae Floating Market experience. The locals are friendly, the food is incredible, and above all, it is quite attractive. Unfortunately, the Floating Market operates only from Friday through Sunday. So, if you're scheduling a trip to Hat Yai, try to add one of those weekend days into your itinerary to avoid missing out. 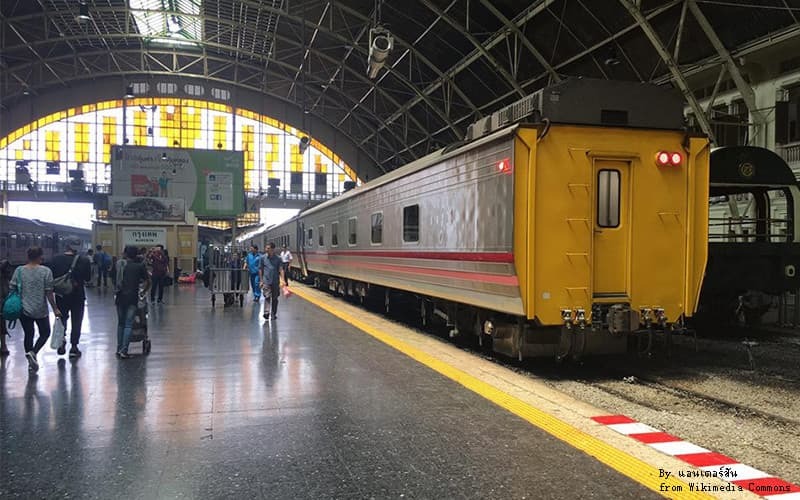 Whether you like or not, the Hat Yai Train Station is a beautiful place to visit if you are a shutterbug. Camera-friendly and soaked in the past, it's worth checking out! Although there are no water world activities and theme gardens mountaineering in the nearby countryside is worthwhile like renting a bicycle or even a hang around (for about 200 baht/day but make sure you don't use your passport as guarantee instead leave a pre-prepared photocopy). Just 26km on the outskirt of the town is the Ton Nga Chang Wildlife Sanctuary, a worthy place to visit and during the rainy season (between May-November); its waterfall is undoubtedly worth checking out. Because this is Thailand, the best way to enjoy an afternoon (or even a day) is to visit a spa and get your face spoiled rotten, massages, scrubs and packages. Also, you will look better after these treatments! Are you a lover of exotic foods? You will have a lot of chance to sample and have a bite of Hat Yai's local food. But if you have concerned severe about food poisoning' or you query the cleanliness, just have it at the back of your mind that a lot of people are on the queue for the same fresher food. The Kim Yong Market region and the front street of Lee Garden Plaza are both sure bets for decent clean street food. You won't have any glitches locating great Thai massage or reflexology services in Hat Yai. They sometimes come with bright lights or a deafening TV set. From our experiences, a little rule of thumb follows Hat Yai massage parlours visits, and that rule is, if the full body massage rooms happen to be up a narrow faintly lit stairway, it will be better off going elsewhere because they tend to be dark with a dirty feeling. Hat Yai (popularly called Haad Yai) is known to be a frontier town, and honestly, several visitors here are on the KL- Bangkok route enjoying a night or two before continuing their journey but many of them also come with the intention of shopping. Therefore, why not check out some of the most beautiful hotels that Hat Yai has to offer to exploit your pleasure quota while staying here? Two hotels we hugely endorse are the Centara Hotel Hat Yai and the Lee Garden Plaza Hotel. The Centara is the costlier of the two, but it's worth the touch of extravagance, especially if you are arriving from the sandy off-the-beaten-paths of Thailand. These two hotels are directly adjacent to each other and come with Wi-Fi, gym, pool and an internal spa/massage choice. They are both are adjacent to shopping centers. Hat Yai is and has always been South Thailand's major shopping and commercial hub. As stated, it has some fascinating local markets with an extensive collection of goods for sale comprising handbags, DVDs, electronics, 'brand-name' clothing, knock-off (copy) goods and footwear, not to mention counterfeit designer jeans. As for'legitimate' goods and the real stuff, Hat Yai host countless number of shopping malls and departmental stores like (the Central Department Store Hat Yai (the latest arrived in 2013), Lee Garden Plaza (with its multiplex cinema, games colonnade and Karaoke cubicles prevalent with Thai teenagers), Robinson Department Store (one of the longest-established big store in Hat Yai), two Tesco Lotus superstores, two Big C supercentres, and more. Hat Yai is also an excellent place to purchase exquisite metals and jewellery, and the town is the centre of gold trade for the province.